Digital X-ray, also known as digital radiography (DR), is a rapidly evolving technology. 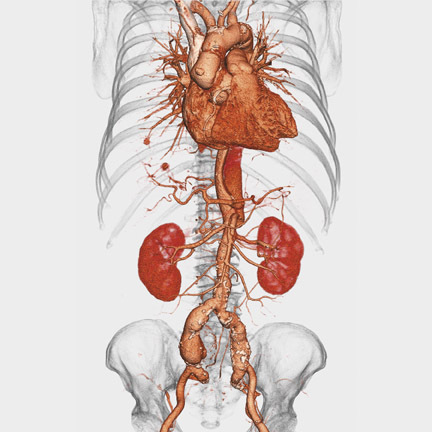 It is currently in use across a spectrum of clinical applications, employing a variety of imaging techniques, with new applications continually being explored. Two manufacturers plan to introduce new DR systems-one modular, one portable-in the coming months. The following is a brief preview. The Health Imaging Group of Eastman Kodak Company (Rochester, NY) plans to introduce a modular DR system that should be available in the third quarter of this year. The DirectView DR 7500, currently a work-in-progress, will offer a customizable array of single- and dual-detector options with the use of modular components, including a wall stand with extending tilt and swing bucky with detector, an elevating table with detector, overhead tube suspension, a system operator console, and an X-ray generator and system control unit. "The most important point is the flexibility that it has in a variety of dimensions," said Helen Titus, Marketing Manager for Digital Capture Products at Kodak Health Imaging. "It's flexible for the hospital because it's scalable; therefore, the hospital can purchase some of the components now, and then add others later. It is also flexible for the radiologist, allowing for a range of radiographic shots. It can be used in a single-detector configuration with the overhead tube system and the wall stand or with the overhead tube and the table, or with both in a dual-detector mode." The wall stand unit will allow for upright, horizontal, and cross-table projections with 3-axis movement to accommodate rotation (between portrait and landscape), tilt (-20˚ to 90˚), and swing (±45˚). The retractable bucky will allow for wheelchair and table projections, and the detector will automatically follow the overhead tube to maintain accurate alignment. The elevating table with detector will feature 4-way float and will allow the bucky to be pulled out to accommodate extremity examinations. The overhead tube suspension will feature in-room access to detector selection and synchronization through a display keypad. An LCD screen with self-righting data will show patient data and radiographic techniques. An optional motorized overhead tube will also be available. The operator console will control all the system's functions, including the X-ray generator, detector array adjustment, and patient data through connectivity with the hospital information system (HIS) and the radiology information system (RIS). The console features a multilingual touch-screen user interface. Additional options expected to be available with this system include motorization and synchronization with push-button control to enable auto-centering and auto-perpendicularity between the detector and the X-ray source, as well as the ability to preprogram settings to allow the equipment to automatically move into position. "With auto-positioning you can teach the unit to remember various positions depending on which examination you are doing," explained Titus. "Then, when that exam comes up again, you can program it using the auto-position feature." According to Titus, these options can be included at the time of purchase or added as upgrades at a later date. A variety of software programs will be compatible with the new system, including Kodak's DICOM Worklist Management Service Class User software for connectivity with the HIS/RIS system, the DirectView EVP software that extends image latitude, and the DirectView Capture Link System that provides the ability to link up to 5 DirectView DR or computed radiography (CR) systems together. "The Capture Link System allows the user to add CR images to the DR study and, in a way, merges the two modalities," explained Titus. 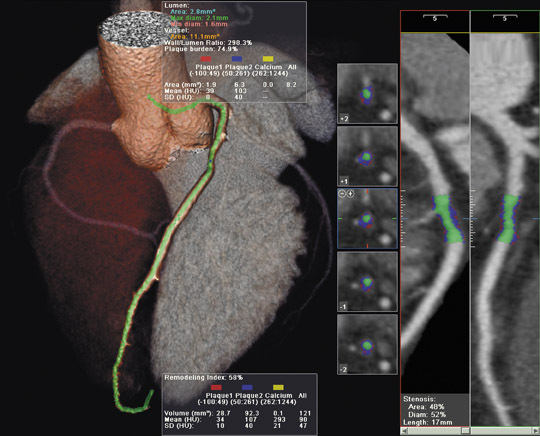 "We are finding that it is very beneficial since there are still certain shots that radiologists are more comfortable with obtaining as CR images, and this allows them to have more choices." GE Healthcare (Chalfont St. Giles, UK) is preparing to launch the first digital version of its AMX mobile radiography system. The AMX-5D was previewed at RSNA 2004 and is expected to be commercially available by the end of this year. "The AMX 5D-the D is for digital-will incorporate the same flat panel that GE has been using in its other products," said Carson Thomas, Product Manager for Digital Radiography at GE Healthcare. "It is a 41-× 41-cm (16-× 16-in) panel; the same size that we use in our XRD room, only this unit is portable." "The system will have a brand new user interface since there hasn't really been a user interface before because there was no software, per se, to run the system," continued Thomas. "This new interface is actually a shared user interface from our general radiography room, so if users are familiar with one, they will have an easy time learning the new system. It has the same screen, just a miniaturized, 'rugged-ized' version of the AMX." The system is battery-operated and the detector panel weighs 12 lbs. The system also includes a 15-inch portable touchscreen monitor. The AMX-5D can store up to 2500 16-MB images within the system and includes a factory-installed Techswitch that allows the technologist to initiate exposure from up to 36 feet away. The company predicts that this unit will have broad applications across a variety of hospital settings. "We probably have >10,000 analog AMX units in the field today," said Thomas. "It, obviously, has very broad applications, but then you have to look at who is ready and willing to go to a digital mobile technology. When you look at the trends in PACS and the digital world, you see that this is one of the last pieces that needs to go digital in order to have a fully digital solution and get away from the other technology." Technology and Industry: Digital radiography: Two new systems on the horizon. Appl Radiol.